BBC Two is set to hunt for Britain's best amateur interior designer in a major early-peak format from Studio Lambert. 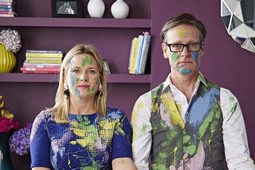 The channel has commissioned the company to make Britain's Best Interior Designer (working title), which will pit home makeover enthusiasts against each other over 12 weeks. The show is being lined up to air in early 2014.